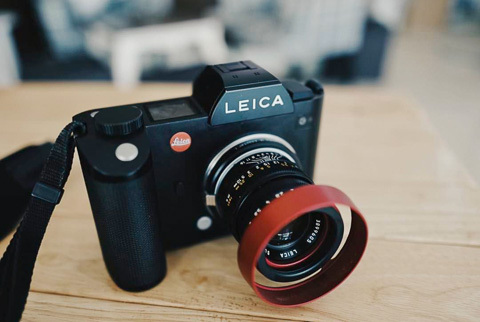 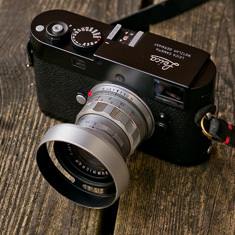 The Leica 50mm Summicron-M f/2.0 Version II Rigid with the silver ventilated lens shade by Thorsten von Overgaard. 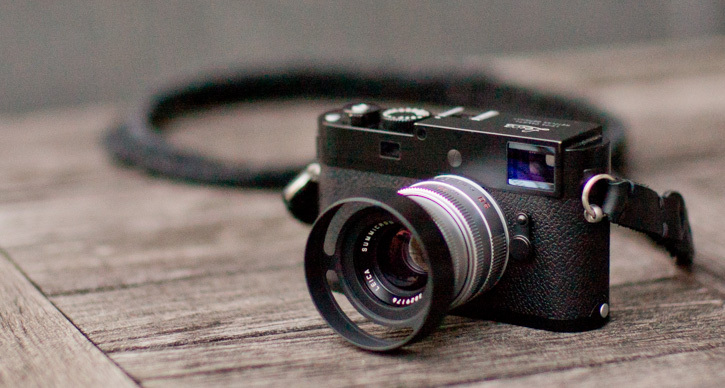 for Adventurers made for E39 Leica lenses. 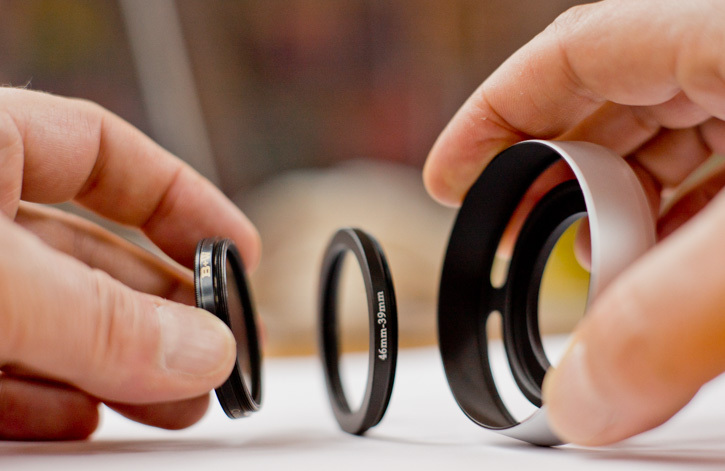 Sits on the inside filter thread and incorporates a new unique filter thread on the shade so you can use your 46mm filters. 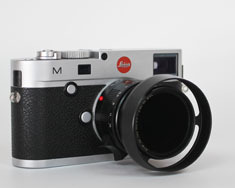 For Leica lenses with 39mm filter thread. 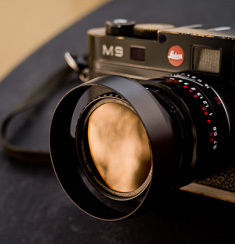 Brass Black Painted E39 ventilated shade. 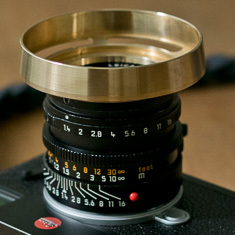 Ventilated Lens Shade in Brass with Black Gloss Paint. 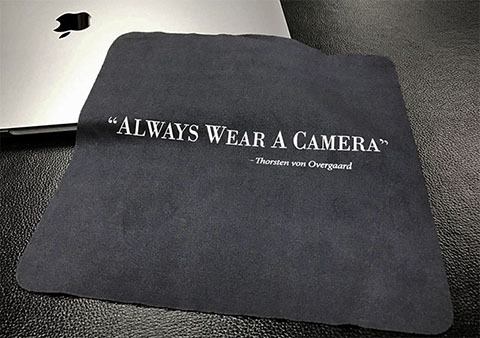 Meant for heavy use so it brass. 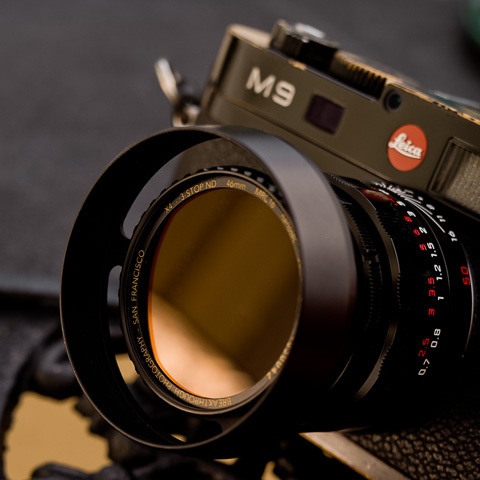 39mm filter can sit between lens and shade, or 46mm filter fits on front of the shade. 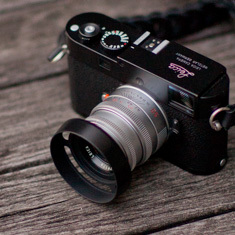 You may preorder but there is no prediction of delivery date yet! 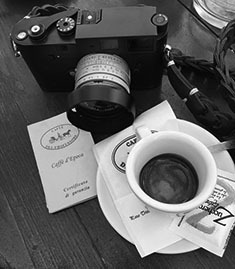 Other retailers and stores: "Rock'n'Roll Straps & Bags", Greece. 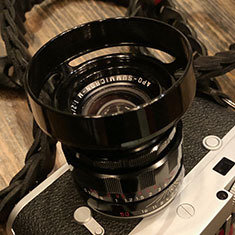 A new unique principle: The lens shade has a 46mm filter screw built-in so you can use 46mm filters on the front of the shade (without taking off the shade) and also comes with a 46-39mm step-down filter ring so you can use 39mm filters on the front of the ventilated shade=. 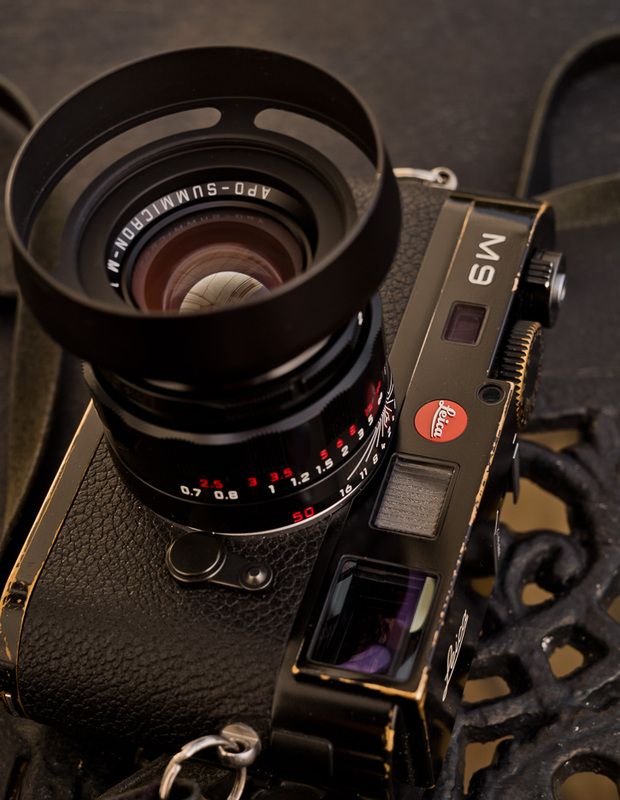 E39 ventilated shade on leica 50mm APO and with the 46mm ND-filter (the shade fits 46mm filters or 39mm filters using an adapter that comes with the shade). 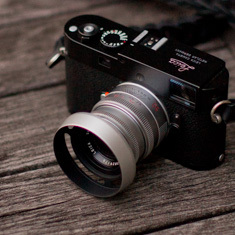 Leica 50mm APO-Summicron-M ASPH f/2.0 with the Thorsten von Overgaard ventilated lens shade in black. 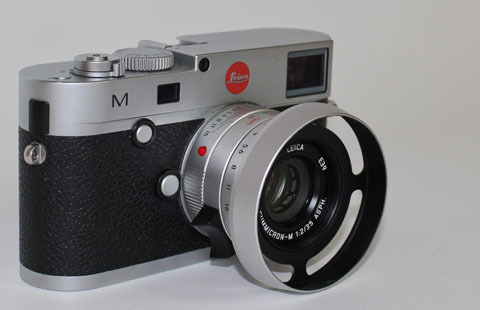 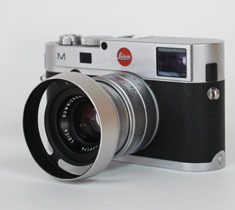 Leica 40mm Summicron-C f/2.0 with the E39 ventilated shade. 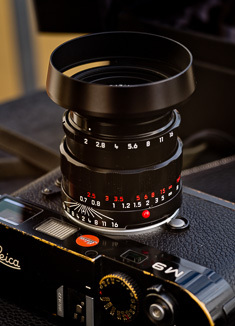 Leica 18mm Elmarit-TL ASPH f/2.8 "pancake lens" on the Leica CL, with the E39mm ventilated shade designed by Thorsten von Overgaard. 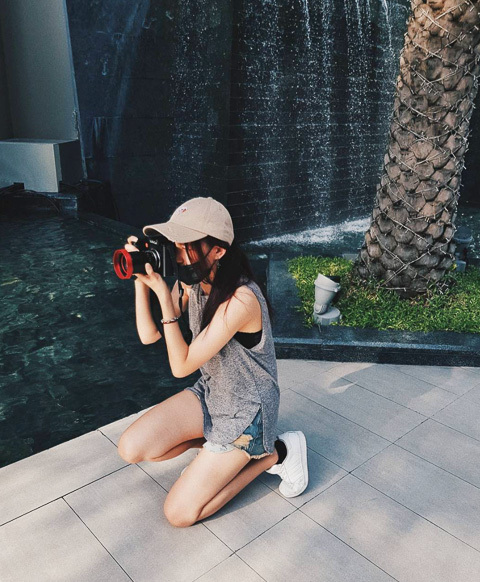 Camea strap by Rock'n'Roll Camera Straps & Bags. 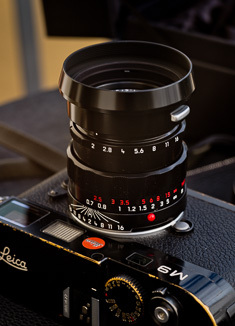 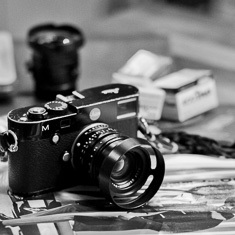 The Leica 50mm APO-Summicron-M APSH f/2.0 LHSA Limited Edition Black Lacquor Paint with the E39 ventilated hood that has a 46mm filter thread in front. 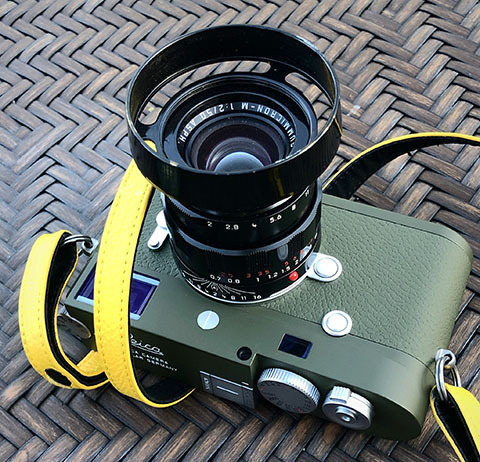 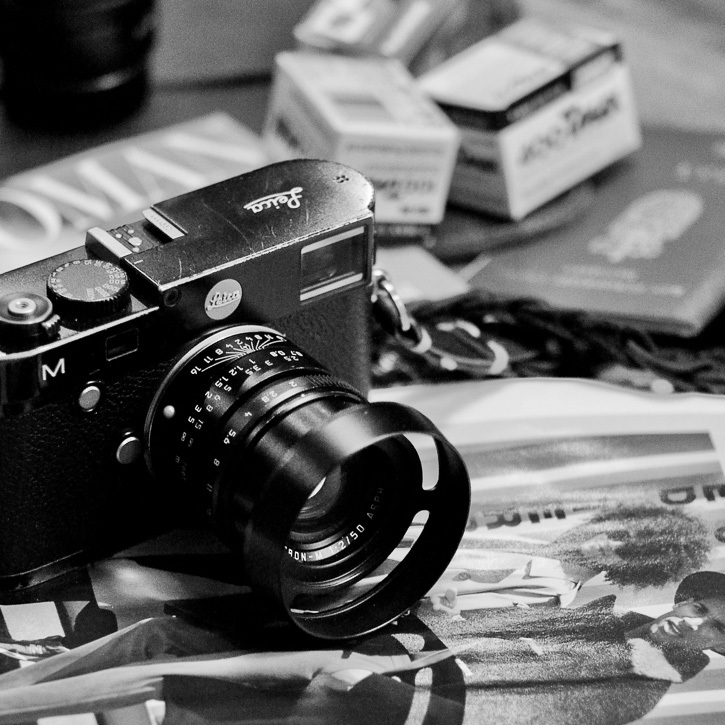 The Leica M10-P Safari with 50mm APO LHSA edition in black paint, witht the E39 Ventilated Shade in Brass Black Paint. 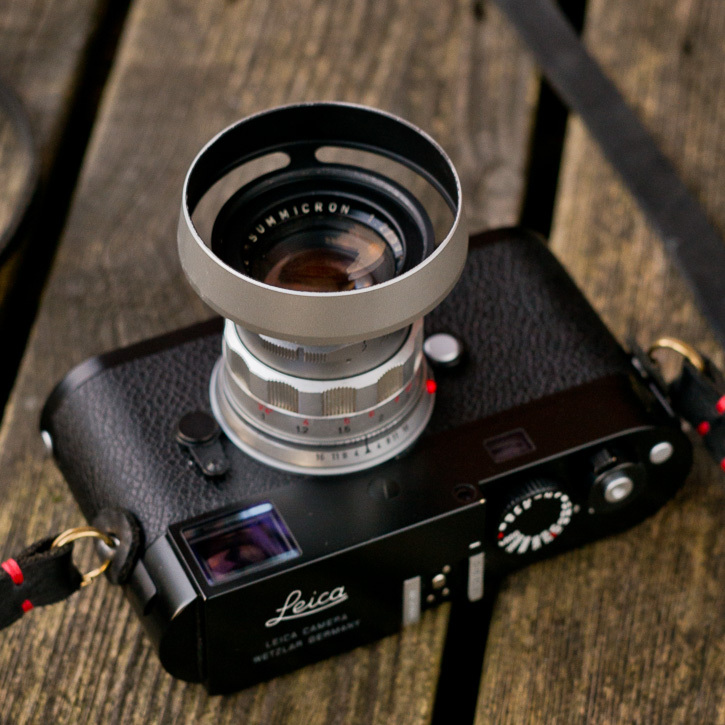 Silver ventilated lens shade on Leica 35mm Summicron-M ASPH f/2.0. 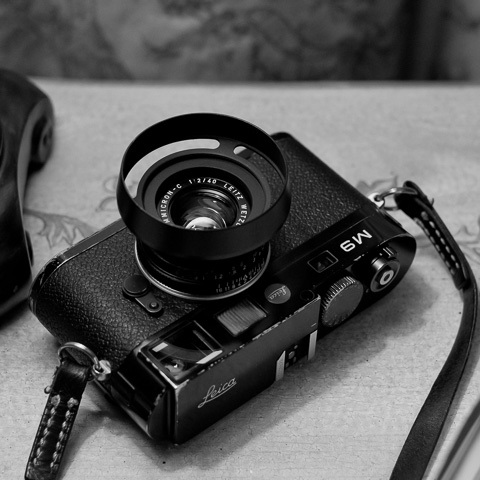 E39 Black Paint Ventilated Hood on the 50mm collapsible. 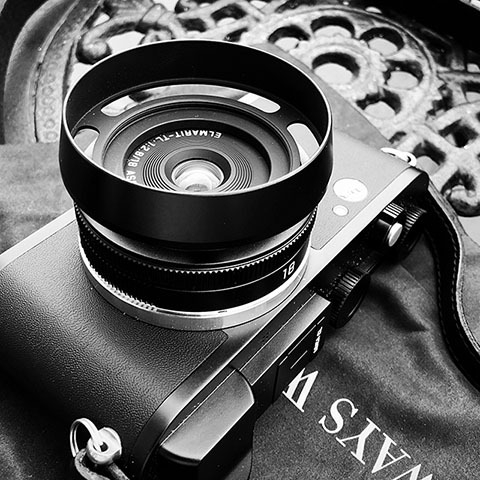 The LHSA-edition of the 50mm APO comes with a clip-on brass lens shade. 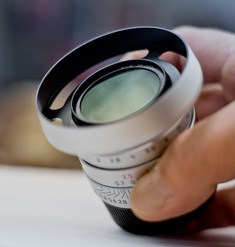 The E39 fits and has the advantage that it's lighter and has a 46mm filter screw in the front. 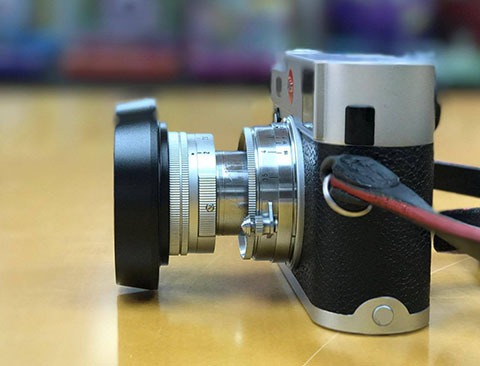 Note: The new 35mm Summicron 2016 model also has an outside screw for the shade. 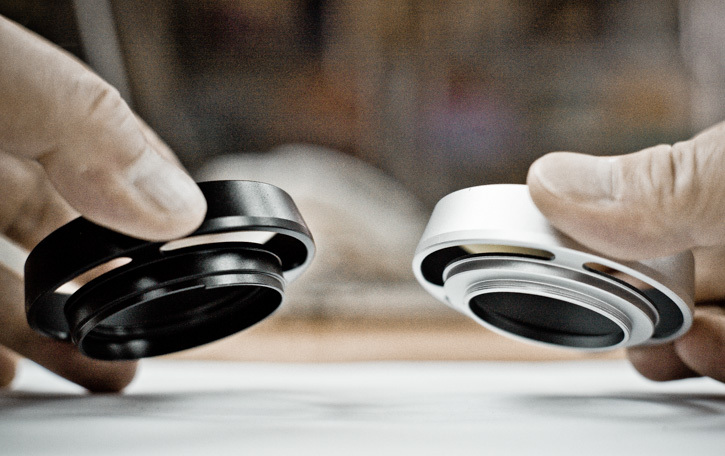 If you have the new 2016-model, then look at the ventilated shade #3520-OUS (the one to the left in the photo above). 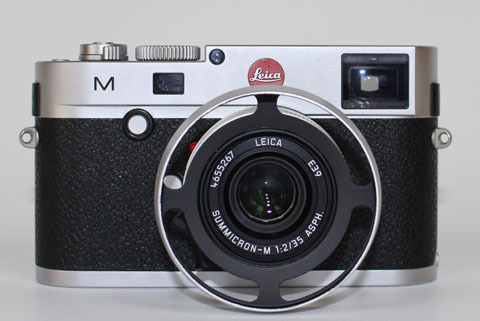 The previous models of the 35mm Summicron-M lenses have E39 screw only and then you need the E39 shade (right in the photo above). 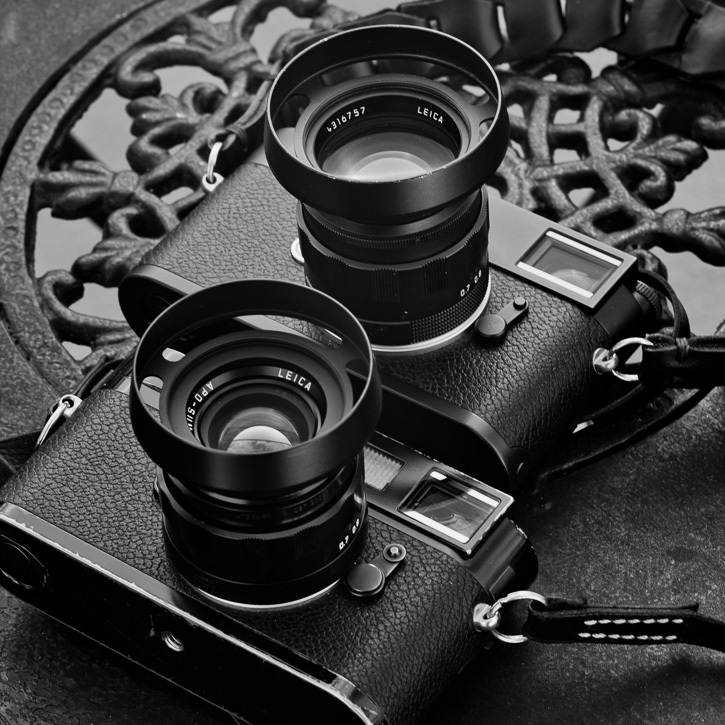 The E39 ventilated shade on the LHSA limited edition 50mm APO (2017) and the E43 ventilated shade on the limited edition 50mm Summilux-M ASPH f/1.4 (2016). 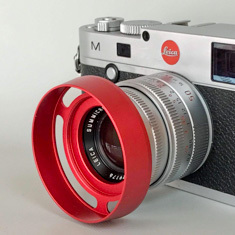 Both lenses designed by Leica Camere AG's lead designer Peter Karbe.